· Mike Thomson: bass, guitar, vocals. · Mike O'Neill: piano, vocals. · John Carr: drums, vocals. · After the Barabajagal sessions and after splitting with Mickie Most, Donovan decided to go back to the UK to record his next album, in spite of his manager, who was against this decision because of the high taxes of the country and the distance from the American market. During these sessions, Donovan assembled the band Open Road with drummer John Carr, keyboardist Mike O'Neil and bass and guitar player Mike Thomson. Donovan produced the album himself. · The Open Road album was the first recording to be named as "Celtic Rock", a term dubbed by Donovan himself to refer the style of the group, which had been brewing in the previous albums, Barabajagal and The Hurdy Gurdy Man. · This is one of the most underrated Donovan's albums, even when it's one of the best Celtic Rock albums ever made. This was probably because of the high critical lyrics. Especially songs like Poke At The Pope, that made catholic believers step back from Donovan. The album was even outlawed in the USA, theorically due to some copyright problems, but presumably due to this song. After the years, it's also one of the most wanted albums by fans. · In the summer of 1970, Donovan and the Open Road band (Mike Thomson and John Carr) went on tour. First, they spent a few weeks in the Greek islands, filming a precious little movie called There Is An Ocean, that would later appear in the Try For The Sun: The Journey Of Donovan Box Set. The idea of the tour was to stay touring around the world for a whole year, and avoid taxes by not living anywhere. Thus, Donovan would make more money in a year than any other artist before. But he started to fall in a deeper and deeper depression due a feeling of isolation and some love troubles that included the long separation from Linda, his great love. A few weeks later he asked the band to leave and continued touring solo, but when the tour arrived to Japan he couldn't stand it anymore and went back to England, breaking the super-tour and the taxes plan. His father and his manager tried to persuade him of doing such a thing but the decision was made. After returning to England and spending a few days resting in his cottage, Donovan met Linda Lawrence. They would never split up again. · After leaving the tour, Mike O'Neil, Mike Thompson and John Carr reformed the Open Road band with Barry Husband on guitar and vocals and Simon Lanzon on keyboards. They recorded and released one more album in 1971 (Windy Daze) before disbanding. · Riki Tiki Tavi is the mongoose from Kipling's Jungle Book. · Season Of Farewell was written for Enid, mother of Donovan's first two children, as an open farewell letter. · The cover picture was taken by Donovan's old friend Gypsy Dave. 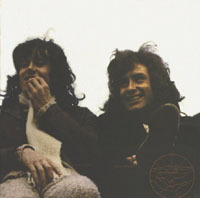 It shows, from left to right, John Carr, Donovan and Mike Thomson. The album art was designed by Sidney Maurer. · There are some notes, accompanying the lyrics, probably from Donovan himself.